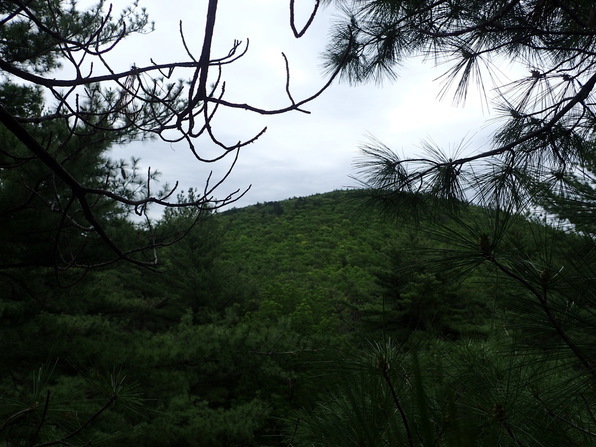 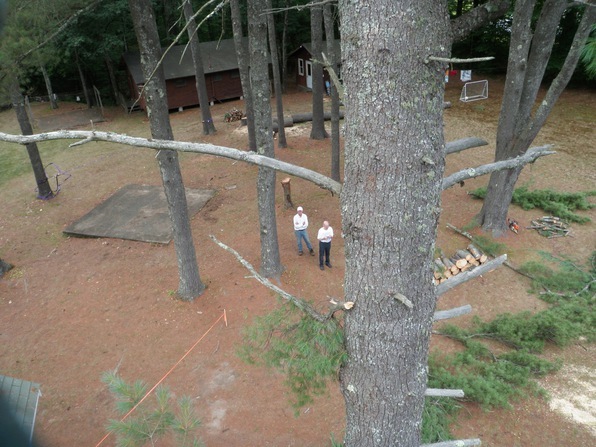 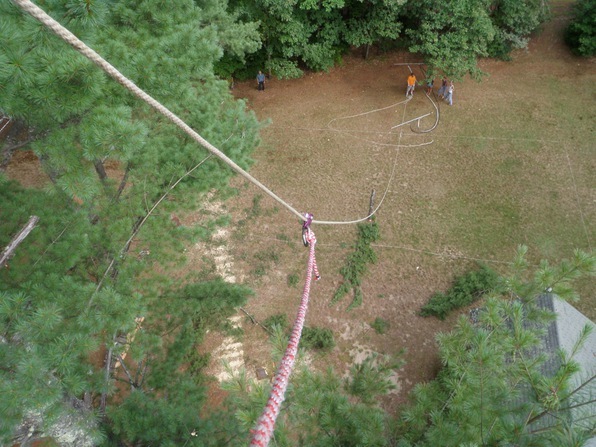 In 2011, we needed some tree work done. 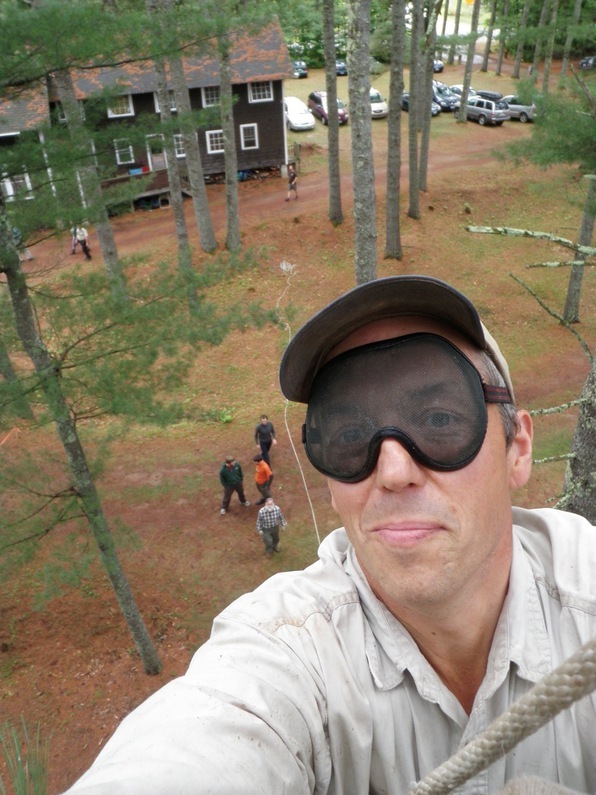 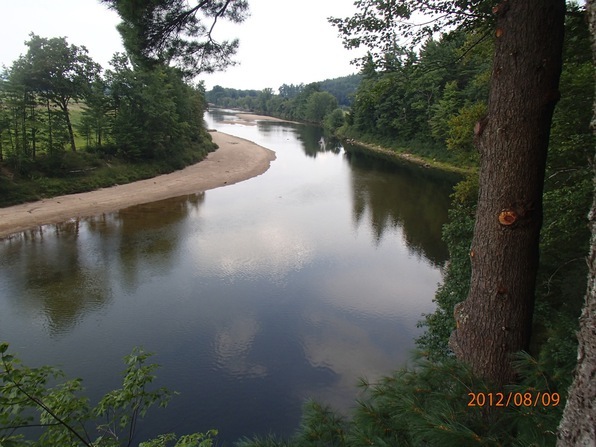 Fortunately, life-long member Ian Woofenden has lots of experience as a professional tree worker and did the necessary work over the space of four or five days with the help of an able ground crew. 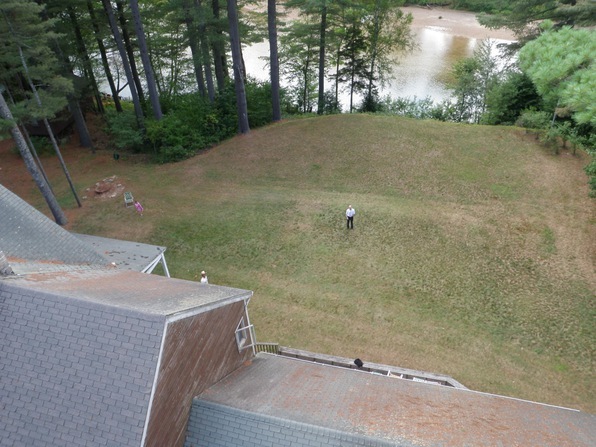 While he was up there, he took photos of some amazing, unseen-by-anyone-else-before aerial views of the Assembly! 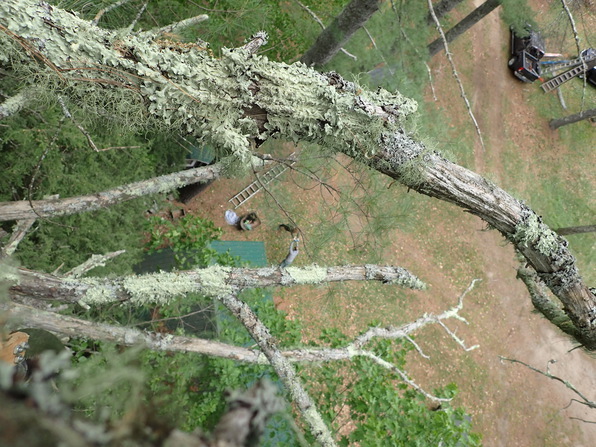 He did more tree work — and more aerial photos — in 2012, 2016, and 2018. 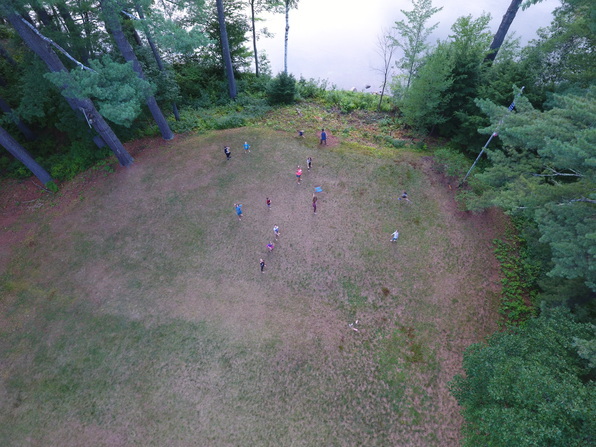 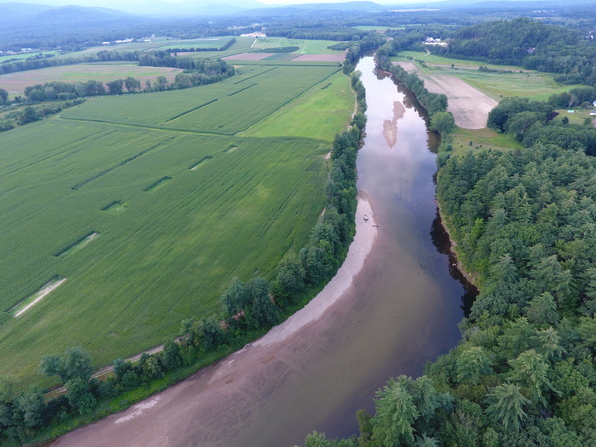 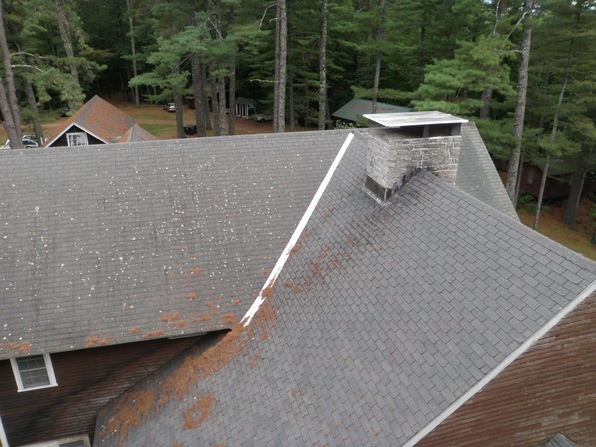 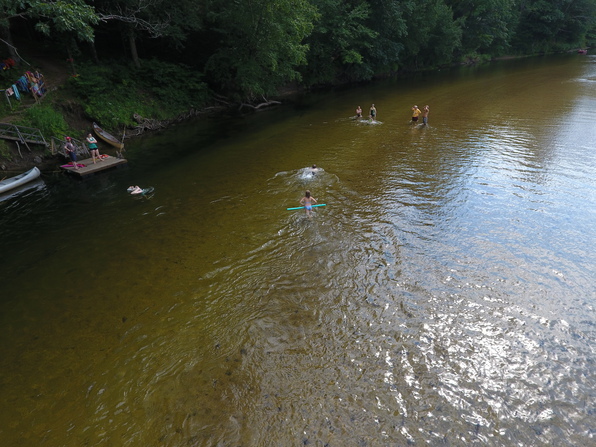 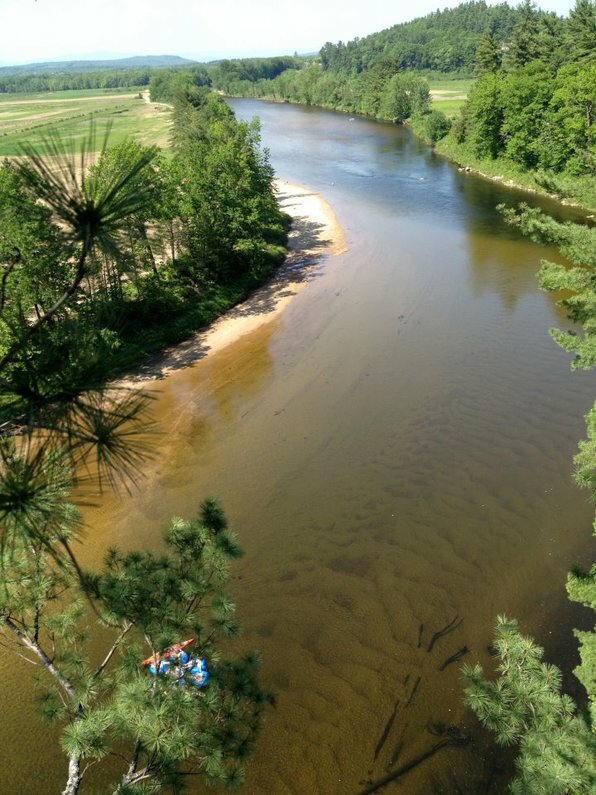 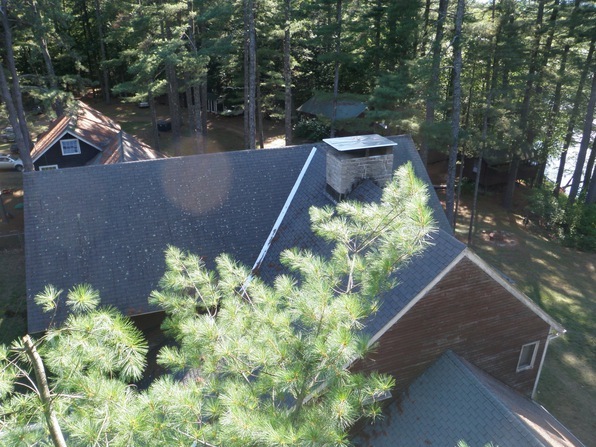 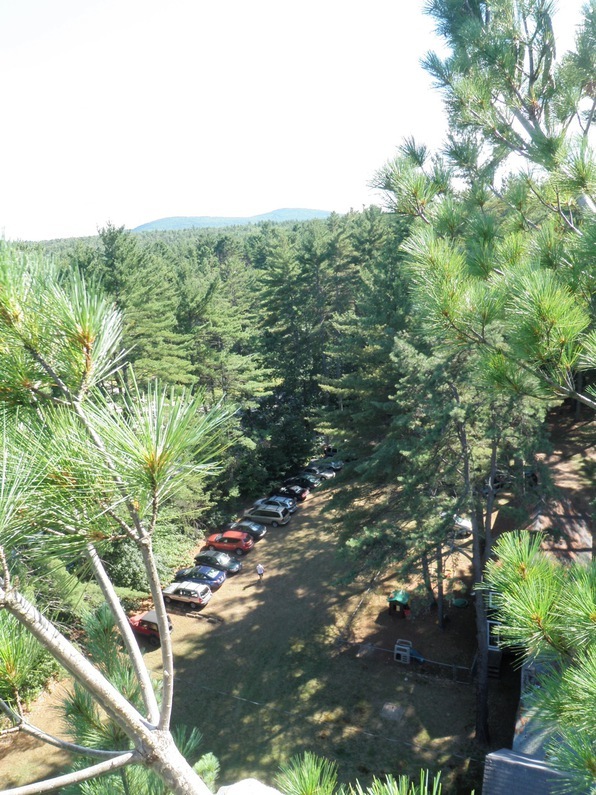 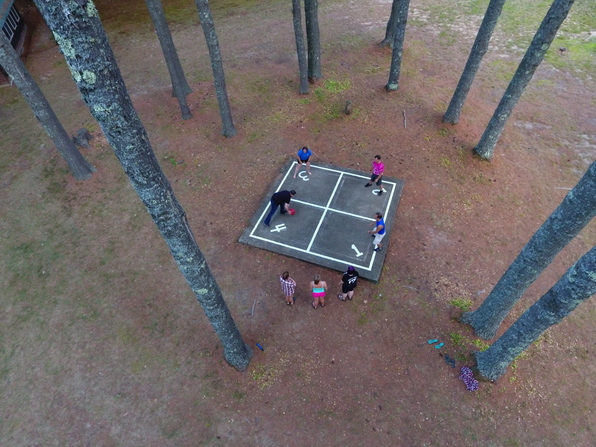 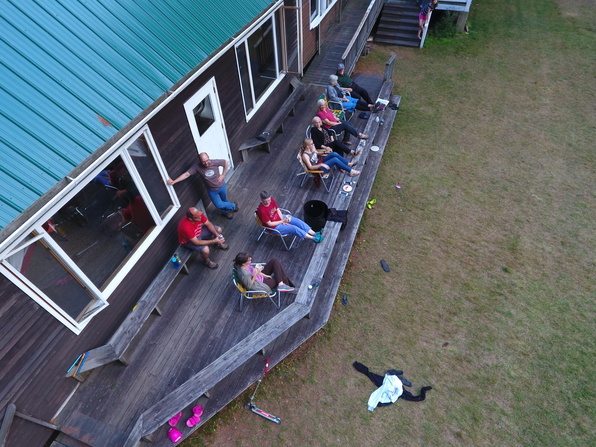 In 2017, life-long member Bob Perry brought a drone with a camera to camp and took more aerial photography of the Assembly — some of them from significantly higher than the trees. 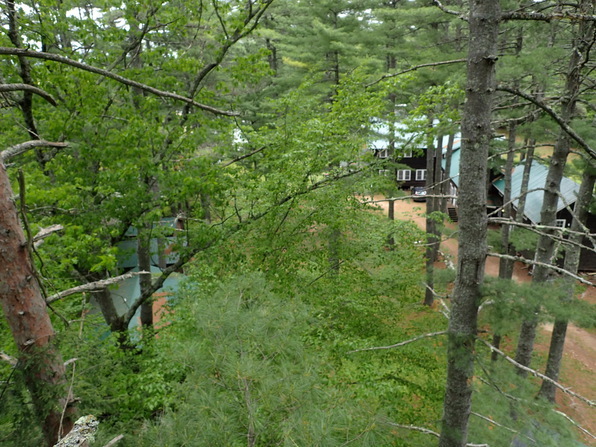 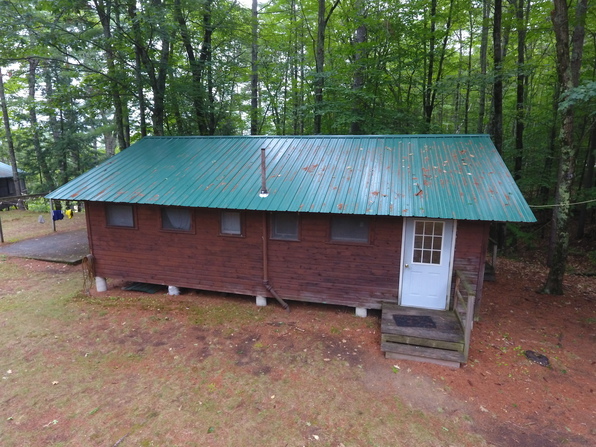 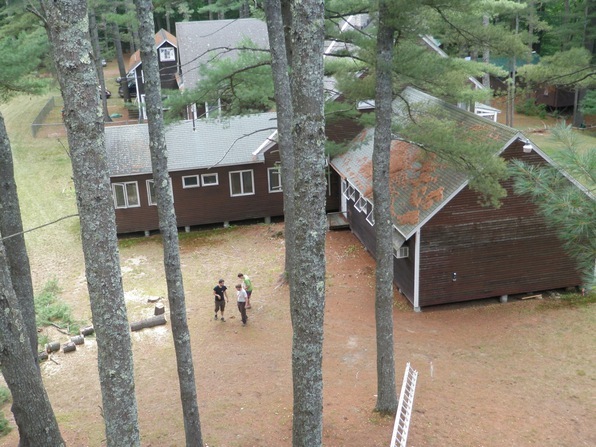 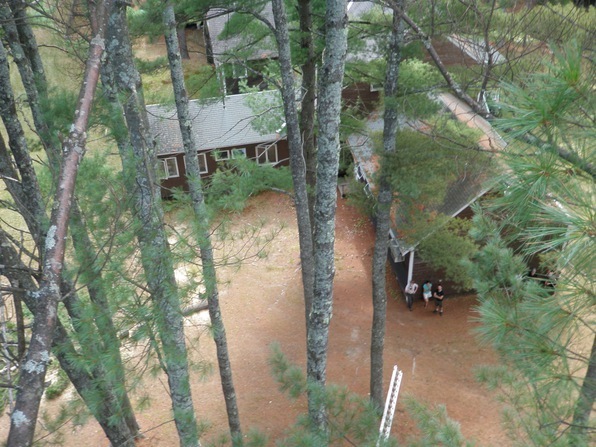 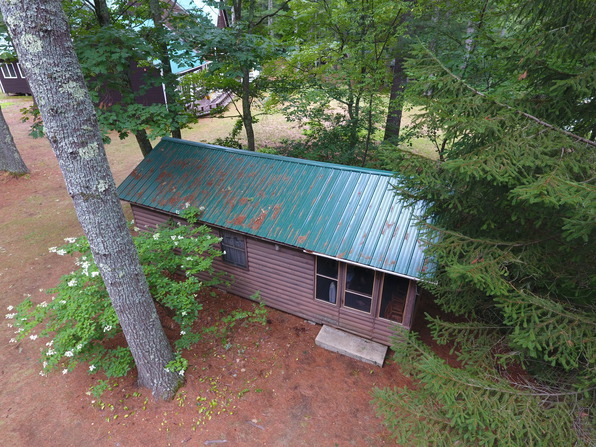 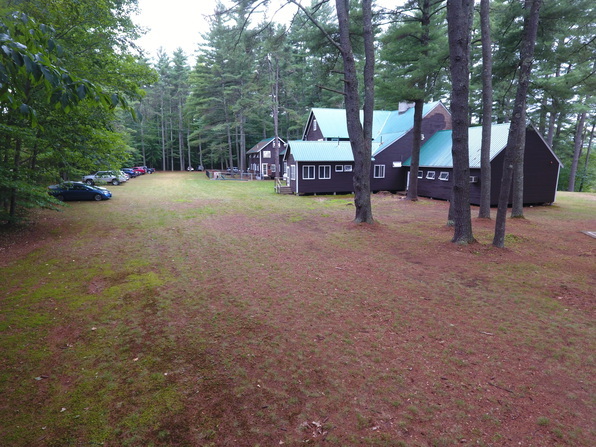 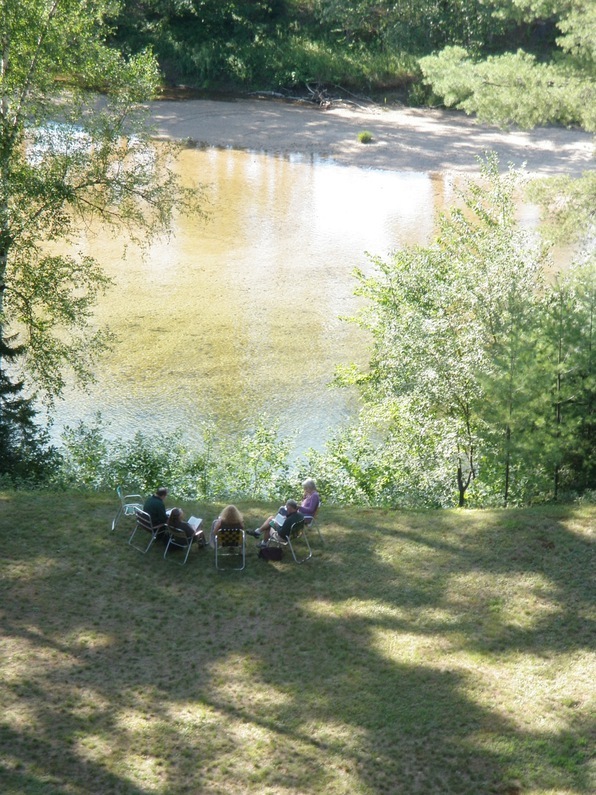 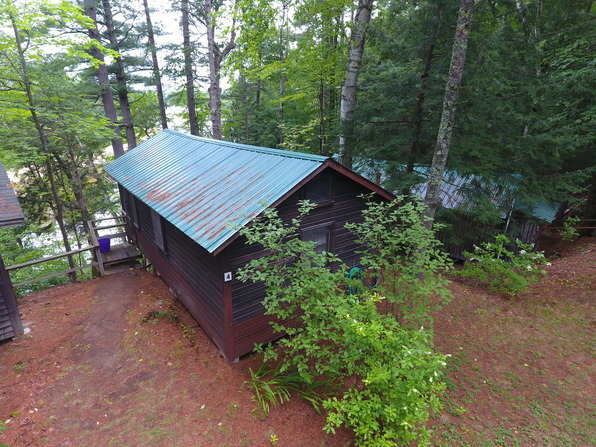 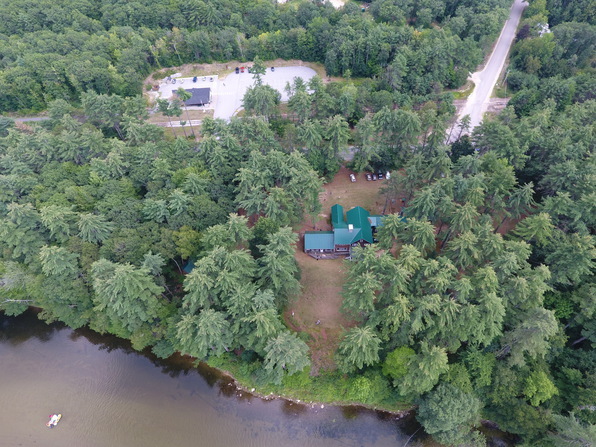 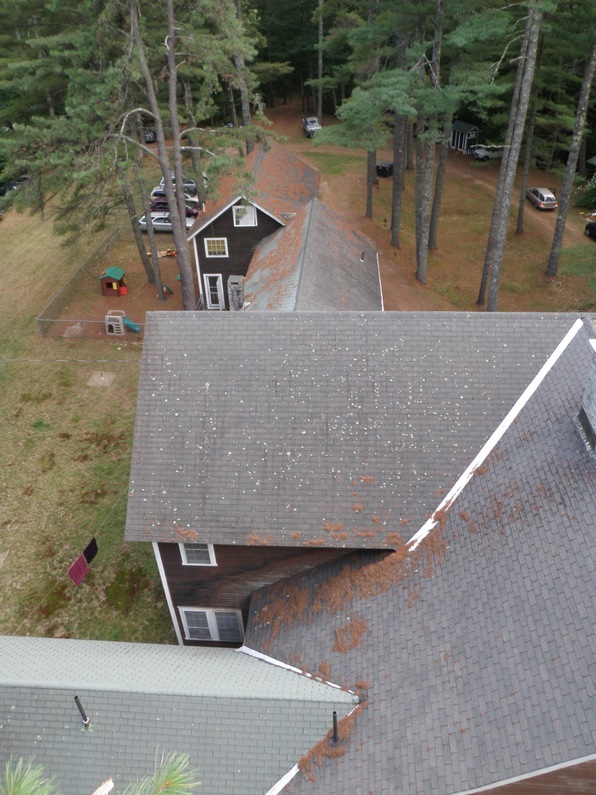 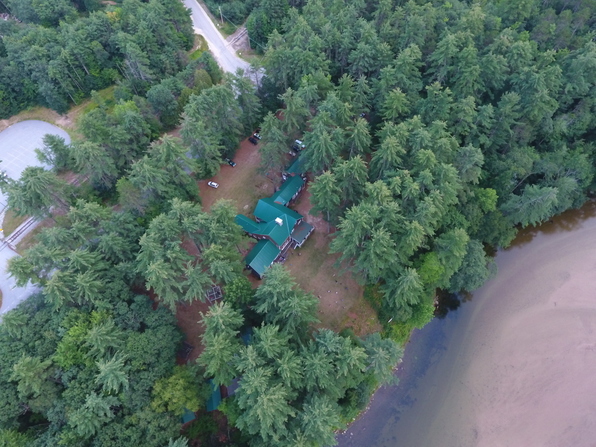 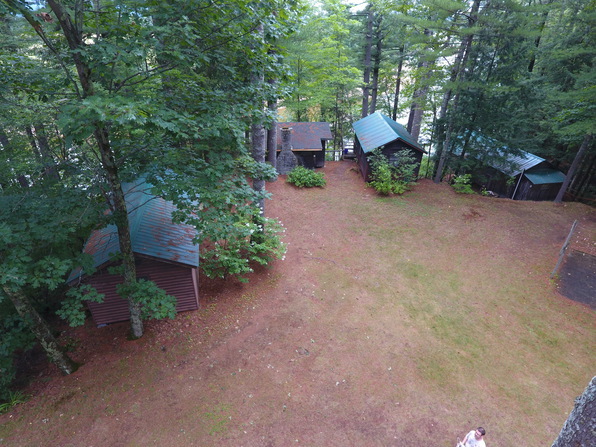 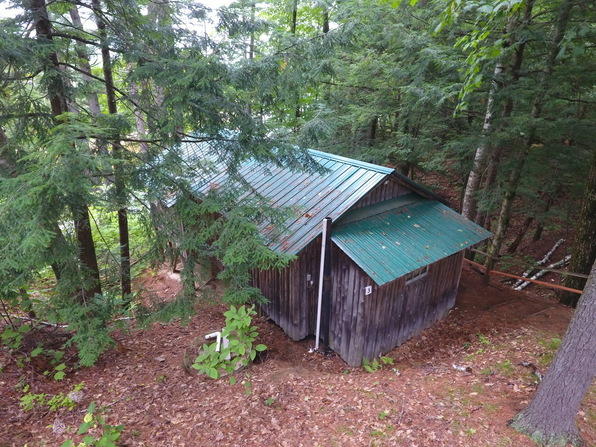 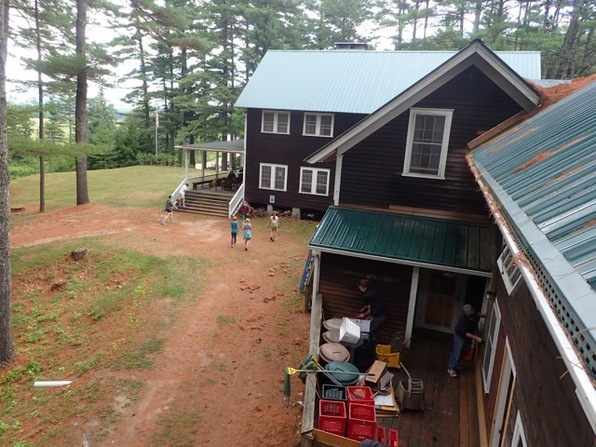 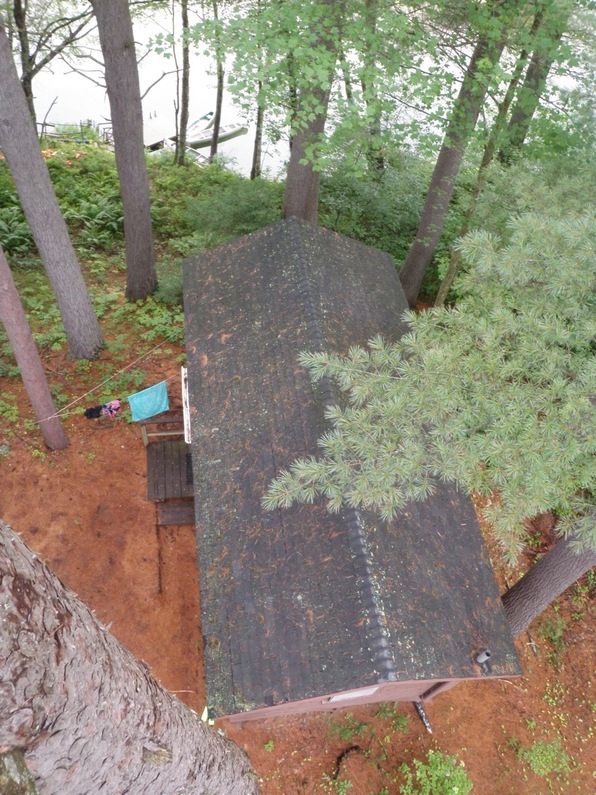 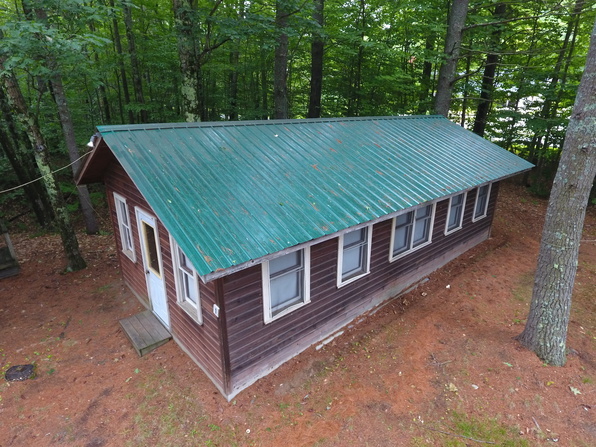 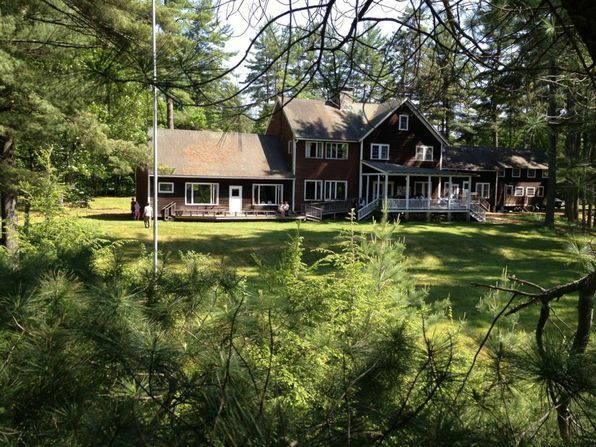 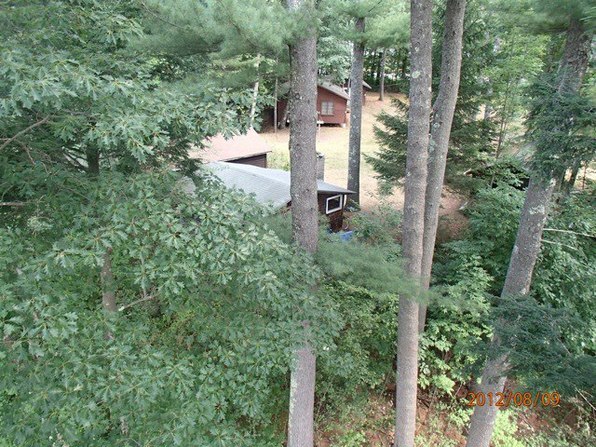 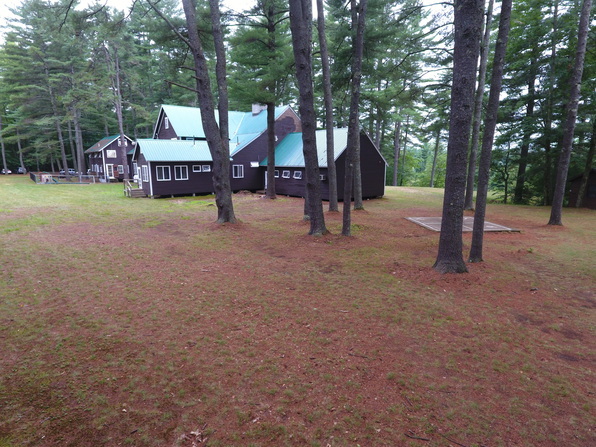 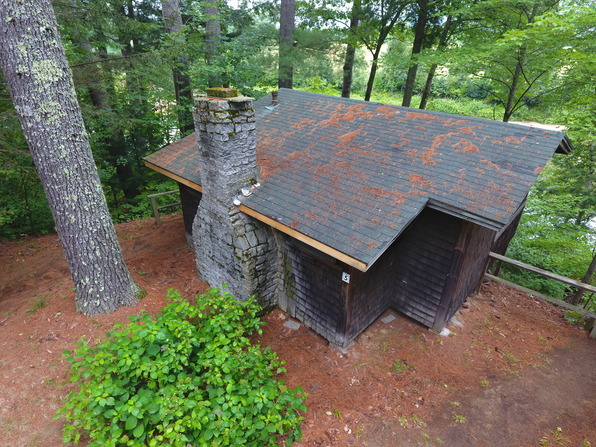 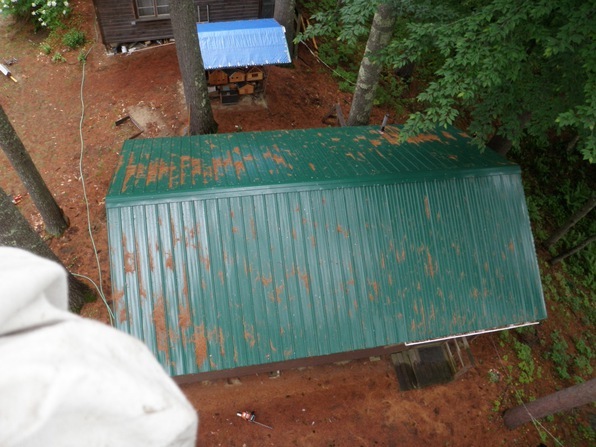 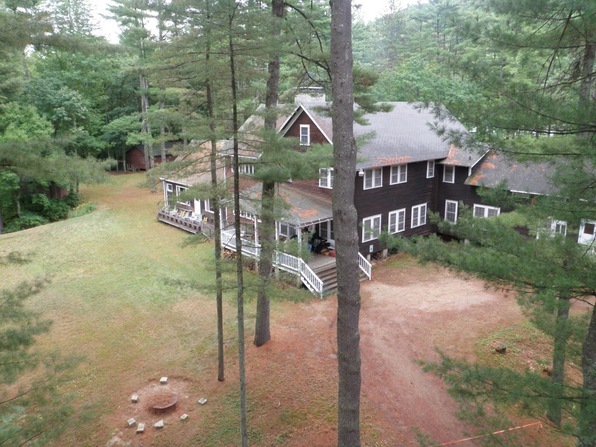 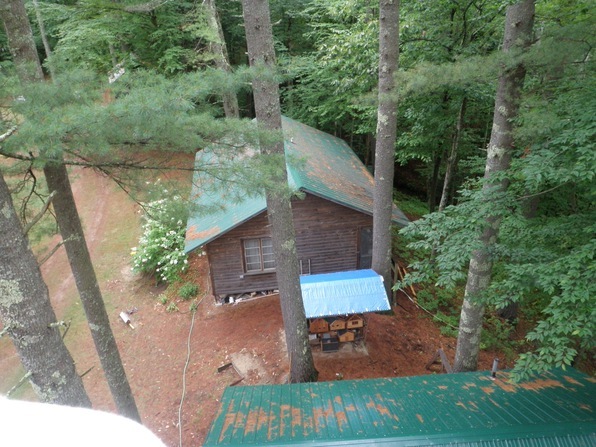 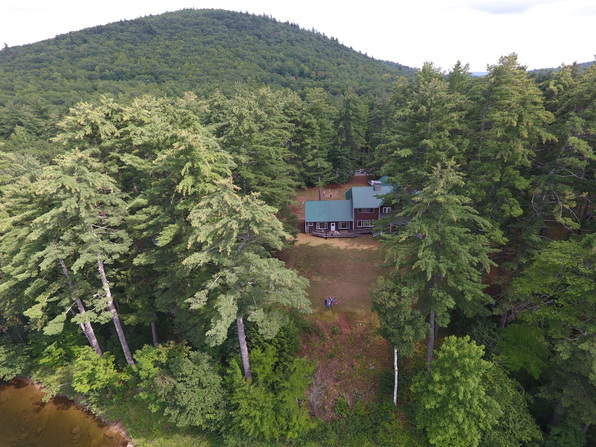 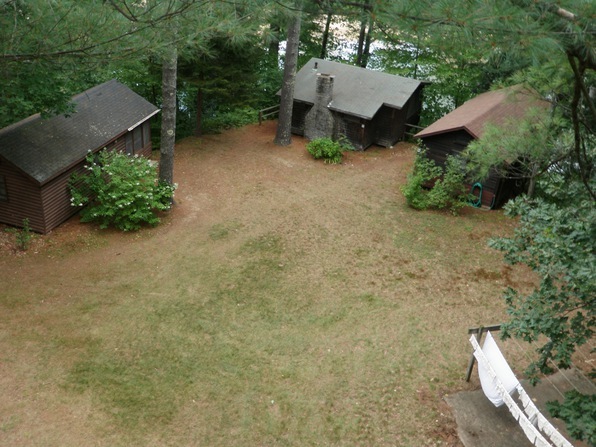 In 2018, Bob took another batch of drone photos, this time of the cabins at the eastern end of the grounds.